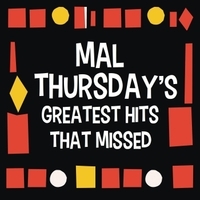 A look back at Mal Thursday's checkered career in rock n' roll. These 15 tracks represent over 30 years of the checkered career of Mal Thursday. Although probably better known as the host of the internationally syndicated radio broadcast and beloved podcast "The Mal Thursday Show," Mal has fronted several fine garage rock bands over the years, from The Malarians in the 1980s, to Mal Thursday and the Cheetahs in the '90s, to his current project, The Mal Thursday Quintet. All are represented here, along with tracks from his ill-fated solo album, "Texas Crude," recorded in 2014. Also represented is "C.J. Sorrow: A Garage Rock Opera," Mal's epic tale of a dissolute musician who makes a lot of bad choices.